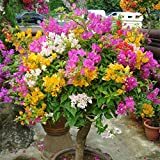 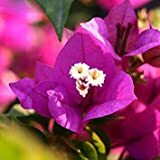 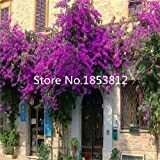 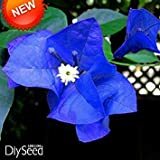 Bougainvillea seeds for sale Easy plant to grow, grown for the ornamental flowers, leaves and as hedge plant, planting in early spring to autumn, it’s easy to start from seeds but when buy plant or grafted plant it’s can’t know the color of the flowers or the leaves. 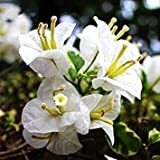 Growing information: perennial plant, growing hardiness zone: 9-11, water needed – small to big amount, light conditions – full sun to partial shade, height: 1-9 m 3-30 feet. 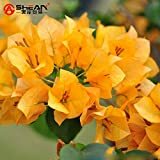 Blooming in the spring to autumn rarely in the winter, in star shaped flowers, but the bracts are the show part that appear in white, purple, yellow pink, light orange, red, purplish or more than one color. 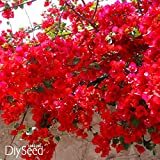 Sowing in the spring to summer, 1-2 cm deep cover lightly keep the soil moist and well drained, germinate better in full sun.